RUSH: I just heard about it this morning. I mean, the details of it. There are two people that are primarily responsible for the TV show Game of Thrones, David Benioff and D.B. Weiss — and they are, admittedly, great at what they do. 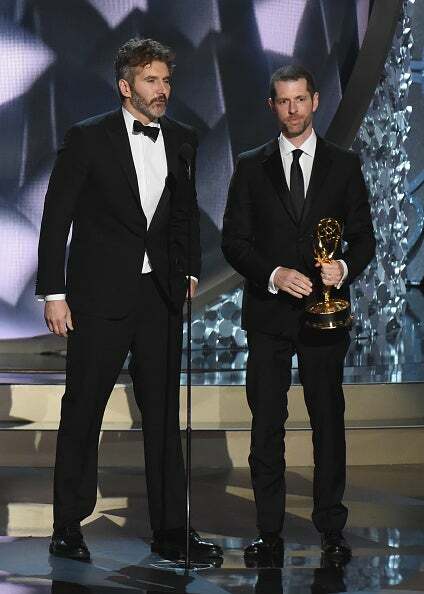 They are the showrunners for Game of Thrones. Well, we’re in the penultimate season for Game of Thrones, season 7. There’s one more season, 8, which will air in about a year from now. Now, their fans were hoping that they would do spin-offs of surviving characters in Game of Thrones — or maybe, you know, go back and do prequels of existing and new characters and basically continue the franchise. But they’re not gonna do that. They instead have contracted with HBO to do a new show called Confederate. No date yet. I mean, they can’t even… I don’t think they can even get to it until after 2018, after season 8 of Game of Thrones, at least whenever that finishes production. So it’s not imminent, and anything can change. How many of you have seen or heard of an Amazon Video series called The Man in the High Castle? You heard of that? The premise of that show is that the Germans won World War II and that America is under the control of the Nazis, and so is the U.K., and so is all of Europe. I tried to watch the show. I couldn’t get into it. Even though I knew the premise, I couldn’t get into it. There is a British TV show that… I don’t even remember the name of it. It tackled the same subject. Now, what do you think the impact of this show is gonna be? Why are they…? (interruption) “Stir up trouble?” That’s not even the half of it. Stir up trouble? How about causing trouble? Why in the world would anyone do this? This is why I have gone so deeply into trying to convince people who liberals are and trying to spot them from the first notice, the first moment that you can spot them and then understanding what you’re dealing with. Why would somebody want to do this? What would be the point? And there is one, and it’s political, and you can’t say it’s not. I’ll tell you what I think is driving this, and it’s in front of us every day. Black Lives Matter epitomizes this. The premise is that the United States never ended slavery. It’s always been with us. It’s with us now. The cops are racist. This is a white Christian nation still wishes for slavery. The American left believes this country is rotten, that it is pond scum, that its founding was unjust, illegitimate, immoral, and all of that. And they believe there hasn’t been any reformation; there hasn’t been any growth. We didn’t really end slavery because look at life today. Look at Ferguson, look at Baltimore, look at… They’ll cite all these examples. They run around… The left runs around and to this day believes that the United States still holds to many of the vestiges of slavery. And this program, this show is intended to demonstrate it by taking it to an extreme. What can the value of this possibly be? Well, let’s examine. Let’s give the benefit of the doubt. Let’s play with this. Maybe they want to show how important the Civil War was in the effort of the United States to end slavery, how horrible it was. Maybe this is the way they tend to try to illustrate how horrible it was for those of you who weren’t alive during the era to actually have witnessed it or experienced it, and so it’s a testament. But somehow, I don’t think that’s the objective. Because when you have leftists behind this, the objective has to be… I mean, there’s nothing factual about Black Lives Matter, for example. Black Lives Matter and all of these extremist racial civil rights — the extremist ones — special interest groups, are all about trying to make the case that nothing’s really changed. And yet the United States was among the first nations in the history of the world to actually end slavery. Five hundred thousand-plus Americans died in the process. This has been trending. This shouldn’t… Really, if you pay attention every day to the left… If you’ve been paying attention since Ferguson, take your pick of any event prior to it. Go to Baltimore. Take a look at the Democrat Party’s open-endedly excusing all of this. The media is still the constant sympathy understanding, there is never any condemnation for looting or property rights damage or any of the sort. We’re all told we have to understand it. There’s lingering rage. There’s been increased talk of reparations, for example. So this is just the next step in the progression of committing to film the liberal vision of what the United States really is. It’s not just an entertainment objective here. And it shouldn’t surprise anybody that HBO would get behind it and endorse it. But nothing good can come of this. Pshhh! I mean, this is… Let’s hope that between now and then there’s some things change in this. Is still a long way off. And after the green light it, then of course there’s casting and production. Things on HBO take years to actually get made and ready for air. So we shall see. But it’s a slavery series. They’re openly admitting everything I just told you. Confederate. I’m told that there’s already massive attention being paid to this, pro and con, on Twitter. People are weighing in on it. But again, the premise is: Imagine the South had won the Civil War and that slavery was the order of the day nationwide. RUSH: I’m being inundated, “Hey, hey, this is not new. People have already done this.” No, they have not done this. There was a mockumentary. It was a fake doc. It was a parody — not sure how you would describe it. It was not a documentary. It’s being described as a mockumentary. Confederate states of America some years ago, it was picked up by IFC, which is a U.K. distribution outfit. The fact that you haven’t heard of it should tell you that this is not a factor. But when HBO does something, folks, you’re gonna have to go to Wikipedia to find out about the Confederate states of America. I’m gonna tell you, if they do this, what ends up on screen is gonna be of secondary — Imagine the red carpet parties. Imagine the casting party, and then you’re gonna have the wrap party, then you’re gonna have the premier party. The whole cast is gonna be rotating guests on every television show in America as new experts on the current state of slavery in America. The premise is gonna be, “What if the South won?” Well, the premise is gonna be, “Really, we haven’t gotten rid of slavery. Look at the way the world is in America.” That’s gonna be the point of this. You’re not gonna be able to escape it. You’re not gonna have to go to Wikipedia to find out about this. You’re not gonna be able to escape it if they do this. I know these people. Snerdley said, “Do you think they don’t understand this could really cause –” Have any of them really expressed shock, anger, disappointment that a madman picked up a gun and tried to assassinate a bunch of Republicans? Where is the stated outrage over that? Imagine if the shooter had been someone aiming at Democrats, it would still be the lead headline all over the media and it would have been used to cause every Republican in Congress to resign. And maybe Trump. They would have never let up. 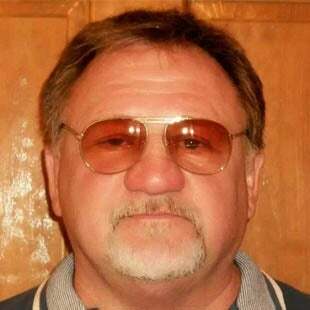 But this guy, a lunatic Bernie Sanders supporter, grabs a gun, tries to assassinate a bunch of Republicans in Arlington, Virginia, at a softball practice, or baseball practice. And they report it on a couple of days, and then they do a couple stories on the guy, “Yeah, you know, it’s kind of understandable why this guy was outraged. It’s a sad thing he was driven over the edge,” and then it was dropped. What do you mean, “Do they not understand what this is going to do?” They know full well what it’s gonna do. They’re not just doing this to have a little cocoon over here called entertainment. That’s not what the people that are gonna be involved in this are gonna do. I mean, to even conceive of this project, what must be going through your mind frequently? Anyway, it’s not even in production yet, folks. It’s an idea and it’s titled and it’s got The Game of Thrones writers, producers, the show runners and so forth, but it’s still a year or two away from production, I think. I mean, look, I’m guessing about that. I’m guessing they can’t get this started ’til they finish Game of Thrones and that’s not gonna be over for a year. Maybe they could do it side by side. Who knows. Time will tell. It won’t be long. RUSH: Here’s Graham in Medford, Oregon, as we head back to the phones and Open Line Friday. I’m glad you waited. How are you doing? CALLER: Absolutely, Rush. Dittos. I’ve been with you since the beginning. Early childhood memories are your voice coming out of the radio. So it’s a huge honor to talk to you. RUSH: Whoa, whoa, whoa, whoa, whoa, whoa, whoa, whoa. Wait a minute. I want to see if I understand what you’re saying. You’re saying that the way they have to do this show is gonna make slavery look…? Is gonna make who look bad? CALLER: Well, it’s gonna make slavery look horrifying. It’s gonna make slavery look, you know, so clearly wrong and evil. I mean, there’s no other way to make it look. (chuckles) You can’t glorify, and they’re not gonna try to do that. RUSH: I don’t think they’re gonna try to glorify it. RUSH: I don’t think they’re gonna soft sell it. I think their definition of slavery is gonna be current status race relations. RUSH: No! No, no, no, no, no. No, they’re not gonna do that. I will weigh you a dollar to a doughnut that aren’t gonna be chain gangs and it’s not gonna be plantations and all that. That’s not what they’re gonna do. They’re gonna the South… The premise is the South wins in the war just like for The Man in the High Castle, Hitler won, and now America is under the control of the Nazis. RUSH: Well, in this show, the South won, and America is now being run by the Robert E. Lees and Confederates and so forth. But it’s gonna be modernized. CALLER: They weren’t fighting for the whole shebang. They were fighting for separation, so you’re still gonna have, like, other people on the other side. RUSH: If they do that. CALLER: There’s some people on the other side. RUSH: We’ll have to wait and see on that. I mean, obviously you can’t deny this. 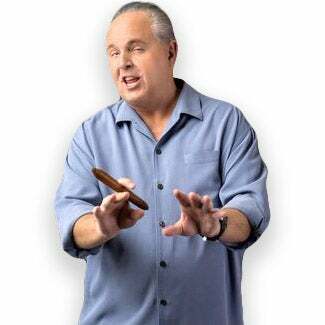 RUSH: I mean, part of the Civil War was the genuine Southerners called a “war of northern aggression,” and they claim it wasn’t about slavery. But that’s kind of a skimpy claim. But, no, no, you’re right in the sense that they will portray the South as being been victorious. But I don’t think they’re gonna do slavery dated back to the plantation days. I don’t think gonna portray it… They might. I mean, look, what we’re gonna get is what these people think of as America today. Why even…? CALLER: If it was just America today, it wouldn’t be called the Confederacy [sic]. They’re gonna have to change it somehow. They’re gonna have to make it look different than our life today. They’re gonna have to say, “Well, what if?” If it’s just what it is today, well, then it’s not a (crosstalk). RUSH: Let me just clarify. Did you think they’re doing this for the express purpose of…? Obvious they don’t want to make slavery look good. You don’t think I mean that, do you? CALLER: No. No. I’m just saying that you’ve got that contrast. Like, all right, here’s a hypothetical world that’s clearly worse than ours. And that’s what they’re inevitably gonna have to portray. They’re gonna have to portray a world that’s worse than ours. So by contrast, hey, at least we’re not the Confederacy [sic]. So regardless of their intent it will backfire on them by creating that contrast. RUSH: So you think at the end of the show the audience is gonna say, “Wow, it’s a good thing the North won because we don’t want to live in a country like this”? CALLER: Well, otherwise they’re gonna say, “Hey, wouldn’t it be better if the Confederacy [sic] had won,” and there’s no way it’s gonna go down like that. RUSH: I think you’re gonna see the Republican Speaker of the House with slaves and I think they’re gonna — I do not have a good feeling about this, is my point. You do. RUSH: That’s exactly right. In fact, you are very, very courageous in taking issue with me on this. Look, I could be wrong, but I think what’s driving this is a belief that we haven’t abolished slavery, that it has just taken a different form. And the reason I say this is I listen to civil rights activists. They are telling us that it is not over. They’re portraying this, the cops, police departments, law enforcement, you name it. What is the impetus of civil rights? Black Lives Matter? What is their point? It’s still a nation filled with racism and bigotry, it may as well still be a slave state. I think the premise is gonna be that we didn’t defeat it. And that’s why they’re doing this. Now, the South didn’t win, they have to go fiction there. But it provides them, I think, the vehicle or the transition to portray current-day America as not much different than if the South had won. Well, why was your gut reaction nothing good can come of this? Snerdley is telling me what he’s envisioning, gonna be real slaves getting beaten — (interruption) You think there are gonna slave chain gangs and so forth? Okay, well, then if that’s the case, if we get a portrayal of slavery like that and no attempt to compare slavery, then, to what exists in America today, then they will fail in their effort to make America look like it’s still a slave state. Why else would they do this? I’m telling you, the left in this country does not think slavery’s over. RUSH: All right. Here is the synopsis. And it’s early. This show is not in production yet, and it’s, again, coming from the creators, the show runners for Game of Thrones, which doesn’t end for one more season. They still have to make the final season of Game of Thrones, which will air probably next summer or fall. It’s only gonna be six episodes, the final season. But each episode’s gonna be about anywhere from 80 minutes to an hour and a half. ‘Cause they’ve run out of story. The guy that writes the books hasn’t written any books in years, so they’re inventing things in the plot, which is okay. Neither here nor there. See, you gotta have corporate America as a slaveholding institution. Corporate America has slaves, a giant conglomerate of ’em, “and the families of people in their thrall.” Meaning all the people affected by the freedom fighters, the slave hunters, the politicians, the abolitionists, the journalists, and the executives of a slaveholding conglomerate. Who do you think the bad guys are? The execs of a slaveholding conglomerate. And what do you bet their logo is a giant red T? Hm-hm. Logo is gonna be a giant red T. And they’ll own golf clubs. And every employee at the golf club is going to be a slave. Now, the theory is if they really do it this way, there’s no way that it could look good, so there isn’t gonna be anybody clamoring for slavery when this is over. It’s not like that. I think that misses the point here. There’s no reason HBO — this premise, folks, you talk about wide open — a wide open potential. Look, we know the left does not particularly like America. We know the left wants to transform it. We know the left considers the founding unjust and immoral because of slavery. We know that left-wing civil rights groups do not believe that slavery is over. They actually conduct themselves on that basis. And here comes the primary cable network, entertainment pop culture network advancing the liberally agenda. I think the point here, even though the South lost the war, the objective here is — and I’m prejudging it, I admit, but I think the objective here is to not make modern-day America look good. If they want to do a movie on slavery, if HBO really wants to do a movie on slavery, I got the title for you: Venezuela and the Life of Human Beings Under Socialism. You want to talk slavery, well, it still exists. It exists in every communist country on this planet. Slavery is still big in Asia, and it is still big in Africa. RUSH: I’ve got another thought on this movie that HBO’s working on called Confederate. If it is to be historical accurate, if this movie is to be historical accurate, the slaveholders in it must be Democrats. Who were the slaveholders in the Confederacy? Who did not want to let go of it? They were Democrats. They were segregationists, and even into the early and mid-1960s they were Democrats. They were Bull Connor. They were Lester Maddox. They were George Wallace. They were any number of leftist governors and police chiefs and senators and members of Congress, J. William Fulbright from Arkansas. These people were segregationists. They were Democrats. They were for the status quo. If the HBO movie, Confederate, which portrays an America after the South wins the Civil War, the slaveholders had better be Democrat if they’re gonna be accurate, because that’s the way it was. If they’re gonna portray corporate conglomerates as slaveholding entities, they better be located in the South, because that’s where it all happened. Don’t doubt me on this, folks. This is the thing about the civil rights movement that has forever irritated me. 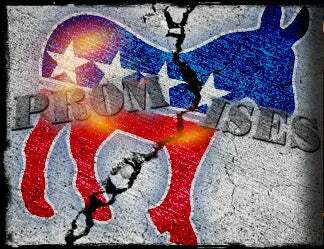 The segregationists and the people that opposed the Civil Rights Act back in the 1960’s were all Democrats. Who was it that kept the university doors at the University of Georgia shut down to African-Americans? They were all Democrat governors. Bull Connor, a Democrat police chief in Selma turning the fire hose on the protest marchers. RUSH: I spent the break here doing a little bit more examination of some of the reaction to this HBO upcoming show, Confederate. You know what the biggest backlash is? That’s right. The biggest backlash is from blacks who are ticked off that the people doing this are white! Of all the Twitter backlash, all of the Facebook whatever, wherever you go to find this on social media, you’ll find that the largest push-back on this is from people who claim to be African-American livid that a couple of white guys are helming this thing. Now, if I may, you African-Americans, what makes you think you’re in charge anyway? The Democrat Party’s white guys run everything that you supposedly are interested in. You have ceded your interests to the Democrat Party, which is run by a bunch of white people! That’s why I say, if they’re gonna do a movie on slavery the slave owners in this movie had better be Democrats because that’s who they were. I think this is great, the backlash against this from African-Americans ticked off that white guys are doing it. White liberals are the biggest know-it-alls on the face of the earth. White liberals are trying to dictate to everybody what they should think every day. Why are you frowning at me? What don’t you understand? (laughing) They don’t have the power to write their own. That’s the point. HBO doesn’t have anybody to turn to but a couple liberal white guys to do this. Now, you might say, if this premise exists, why don’t it originate in the African-American community with African-American producers, writers, directors? I couldn’t tell you. I’m just telling you — (interruption) Tyler Perry? Tyler Perry? Well, I know, but he doesn’t do that stuff. Tyler Perry, look, I may be out of my bailiwick, doesn’t he do horror movies? Well, who am I thinking of? Well, anyway, I know they’re out there, but don’t make me say this. This so obviously — (interruption) The mockumentary that was made. I know, look, the white liberal establishment will let them do things like The Butler and will let them do things like those other — but when it comes to a concept this big, they’re not gonna surrender this. The white liberal head honchos are gonna take total control of this thing. You want to go make The Butler, you want to cast Oprah in a movie, fine, here’s the money, go do it. But when it comes to something big and important like this, we’ll cast you, and we may give you director credit now and then, but we’re running the show. It’s just like white liberalism everywhere. This is not hard to understand. It may be tough to admit, but it’s not hard to understand.